Have you tried our latest special? Wagyu boneless braised short ribs! 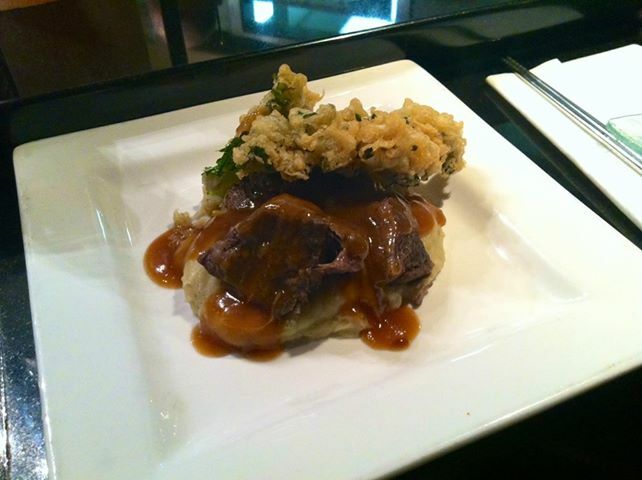 Short ribs braised with shiitake and ginger served on fresh wasabi infused mashed potatoes with a shiitake and ginger Demi glaze with local kale tempura. Soon to be on our new menu!